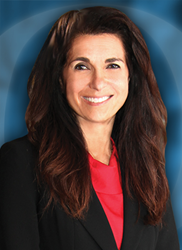 O’Donnell Law Offices is pleased to announce that Attorney Catherine R. O’Donnell has been selected, once again, as a Pennsylvania Super Lawyer for 2017. O’Donnell Law Offices is pleased to announce that Attorney Catherine R. O’Donnell has been selected, once again, as a Pennsylvania Super Lawyer for 2017. This marks the seventh time Catherine has been selected for this recognition. Each year, only 5 percent of the Pennsylvania Bar receives this distinguished honor. In addition to being named a Pennsylvania Super Lawyer for 2017, Catherine has been consistently recognized by attaining Martindale-Hubbell’s AV Preeminent Rating of Preeminent Women Lawyers. She was recognized as a 2017 ALM Top Rated Estate and Trust Lawyer.